Introduce students to fractions using Magna-Qubix®! Help your children understand the world with Magna-Tiles® and Magna-Qubix®! Help students understand and create repeated patterns using Magna-Tiles®! One way to use playtime as a time to learn is by asking open-ended questions. Magnetic Magic: Why Do Magna-Tiles® Always Connect? Have you ever wondered why Magna-Tiles® always connect and never repel? Here are some of the best toys we recommend pairing with Magna-Tiles® and Magna-Qubix® at playtime. Since Magna-Tiles® embrace the power of math and science fused with creativity, we wanted to celebrate S.T.E.M. Day! Teach children how to identify 2D and 3D shapes with Magna-Qubix®! The possibilities are endless with our new Magna-Tiles® 28-piece House Set! Michael Valenta talks about the origin of Magna-Tiles® and what’s new with the company. Are you curious how your Magna-Tiles® glow in the dark? Your Magna-creations inspire us every month. Take a look at our September favorites! See how the patented “X” shape tiles allow you to build in any direction! Use Magna-Tiles® to help children learn the names of shapes. We are so excited to welcome FIVE new sets to our Magna-Tiles® family. A report released last year by Common Sense Media found that children up to age eight spend an average of two hours and nineteen minutes per day on screens. 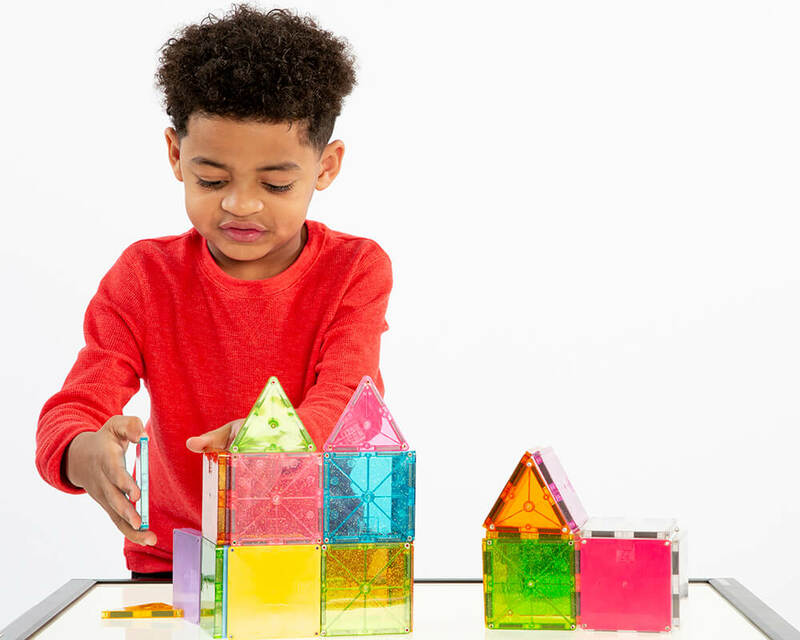 With Magna-Tiles®, children are not only tapping into their creativity, but they are learning about colors, numbers, shapes and science. Anything your children can dream, they can build with Magna-Qubix®! Not only are Magna-Tiles® great toys for home, but they're great learning tools for the classroom too! 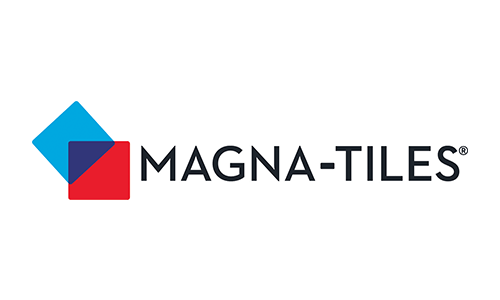 See why The Talk loves Magna-Tiles®!